Groups Allege Agency’s Failure to Provide Legally Required Information Invalidates Ringling Bros.’ Permits. PETA and ADI have filed a lawsuit in federal district court in Los Angeles against the US Fish and Wildlife Service (FWS). The suit alleges that FWS illegally issued permits to Feld Entertainment, Inc., parent company of Ringling Bros. & Barnum and Bailey Circus, to export nine endangered Asian elephants and 17 endangered tigers, including to Mexico, where the animals—some of them ailing—are now being forced to perform. Click here to donate now and help us campaign against the use of animals in entertainment. The Endangered Species Act (ESA) forbids the exportation of the endangered elephants and tigers, except under certain narrowly defined conditions—none of which, the plaintiffs believe, Ringling Bros. could have met. The ESA also requires that the public be provided with extensive information showing why an exception should be granted before the permit is issued. This was never done. In fact, Ringling Bros.’ applications provide no specific dates or countries when and where the animals will be moved again over the time spans—up to three years—covered by the permits. For four of the permit applications, the US Fish and Wildlife Service failed to provide the plaintiffs with any information despite the clear requirement to do so under the ESA. Most of the nine elephants covered by the permits have serious health problems. They include Sarah, who has tested positive for the human strain of TB and who collapsed last year in Anaheim after the U.S. Department of Agriculture cited Ringling Bros. for failing to adequately treat her for a chronic infection; Aussan, who suffers from painful arthritis; and Siam, whom the Washington, D.C., Department of Health recently observed limping. 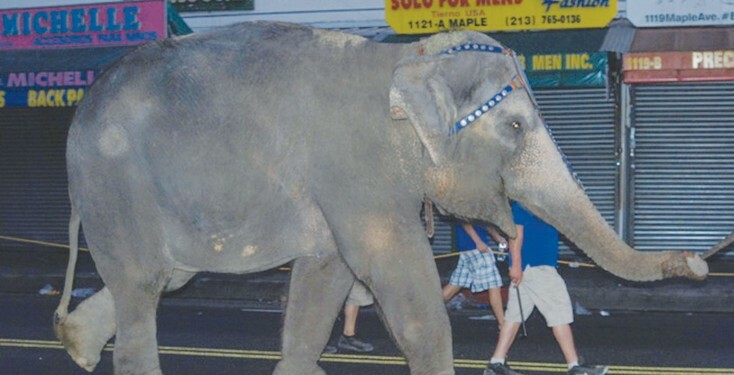 In 2011, Ringling Bros. paid the largest fine in U.S. history ($270,000) for numerous violations of the Animal Welfare Act.